There’s been a lot of interest recently about our bridges and how they’re inspected. Here’s the scoop. The Ministry of Transportation and Infrastructure manages an inventory of 2,700 bridges plus concession* bridges throughout the province. Sounds like a lot, but here’s a visual for you to put it in perspective. Take those bridges, put them end to end and they’d stretch over 150 kilometres. That’s like driving from Penticton to Merritt! So, how do we make sure so many bridges are safe for people to use? How Often are Bridges Inspected? Every bridge we’re responsible for receives a comprehensive review by a trained bridge inspector every year. But we don’t just rely on annual inspections. Ministry staff and our maintenance contractors patrol our roads and bridges every day, and as part of their duties, they’ll check the bridges to make sure there’s nothing obviously wrong. If they see something out of place, they’ll request a more detailed inspection. 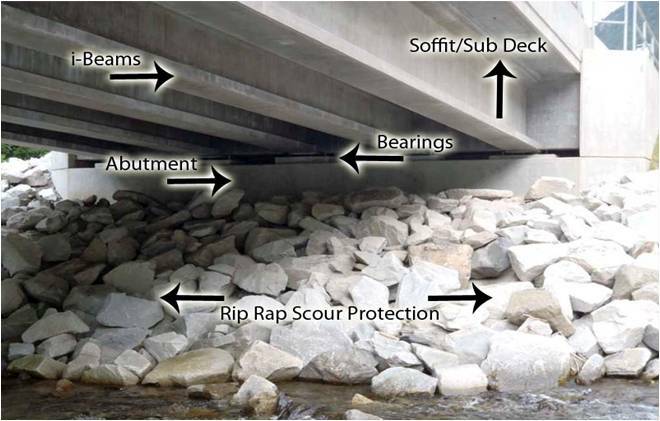 How Thorough are Bridge Inspections? During an inspection, inspectors carefully assess up to 41 different components of the bridge and identify any maintenance work that needs to be completed. 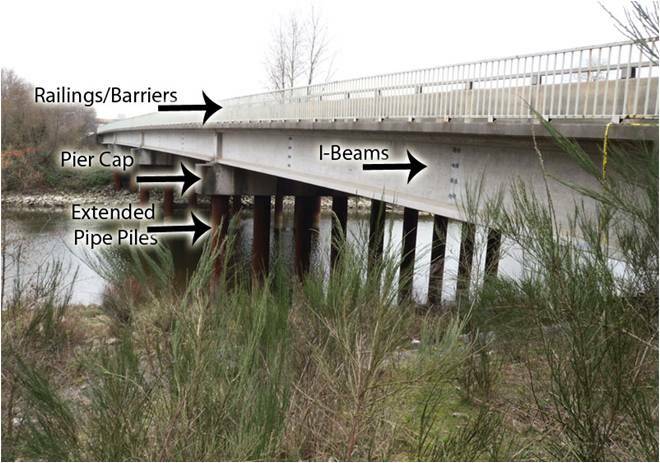 Have a look at the pictures to get an idea of the different parts of the bridge that we inspect. Sometimes it can be difficult to access everything we need to look at, but we’ve got the gear to help us do that, like the specially-designed bridge inspection truck. In addition to a visual inspection, there are a number of other techniques we use. There are ultrasonic and magnetic particle tests, which help us to determine if there are cracks that may be undetectable to the human eye. And if parts of the bridge are submerged then underwater inspections as well as underwater soundings to check for erosion can be done. Curious to learn more? Leave us your question about bridge maintenance in the comment section below, or connect with us on Twitter or Facebook and let us know. What kind of winds are these bridges throughout the year? 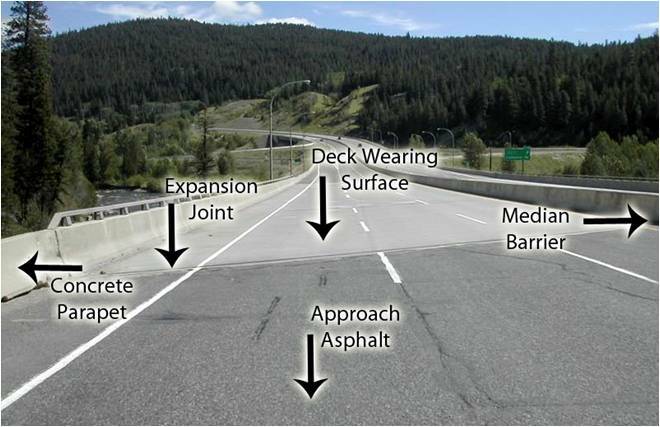 How much play to those expansion joints have to have to accommodate the weather conditions these bridges face every year? Thank you. Good question Jorel, we have passed it along to our bridge engineering department and will give you the answer as soon as we have it.